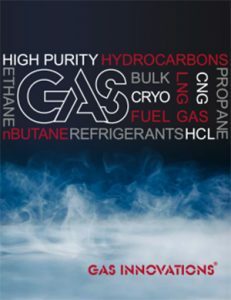 LNG (liquified Natural Gas ) Gas Innovations introduced a new mode of Temporary, Portable Supply of LNG at the LNG-Fueled Drilling and Fracturing conference June 14th, Houston Tx. This new mode of supply is designed to meet the growing demand for CNG & LNG markets for Diesel Fuel Alternatives. Click HERE to see more details. Gas Innovations prepares for more LNG growth. ©2019 Gas Innovations. All Rights Reserved.